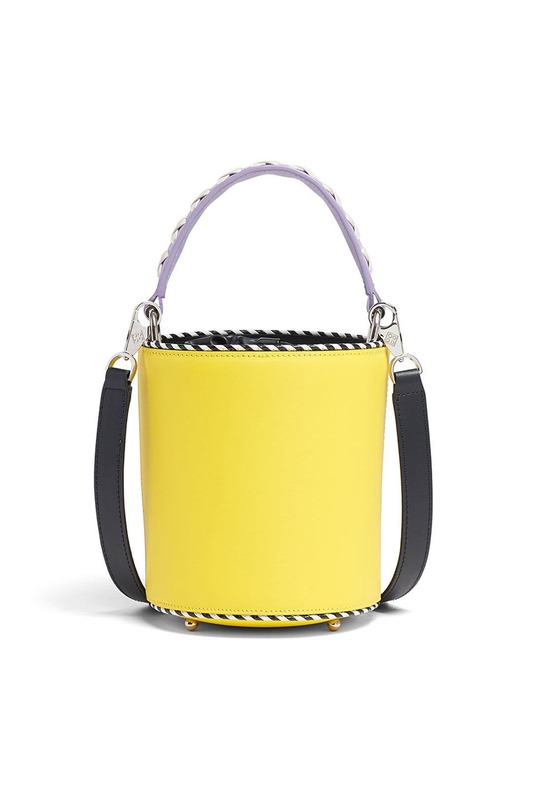 Contrast trim and lacing detail this playful bucket bag by Les Petits Joueurs. 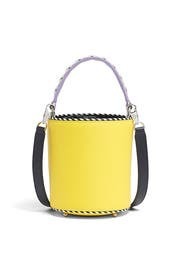 Yellow smooth leather bucket bag with contrasting trim detailing. Drawstring top closure. Top handle and 19.7" crossbody strap drop. 6"H x 5.3"W x 5"D.